Clipped from the Cleveland Plain Dealer, sometime in the 1940s. Recovered from a box of ephemera dating from 1939-1952. “In 1895, my great great grandmother gave this wedge of cheese to my 14 year old great grandfather when he left his shtetl (little village) in lithuania for south africa so as to avoid conscription in the tsar’s army. for some reason, my great grandfather, charles, never ate the cheese. nor did he throw it away. he took it with him to johannesburg, where he lived with his uncles for a time before striking out on his own, fighting in the boer wars, and, with the defeat of the dutch, moving yet another world away – to memphis, tn, where he married and had four daughters. Strangely still in possession of the cheese when he died, my great grandfather passed it down to my grandmother. My parents discovered the cheese in the early 1970′s when my mom took on the project of refurbishing the trunk my great grandfather had shlepped from lithuania to south africa to memphis. when she opened it for the first time, she found a desiccated wedge of something resembling a pumice stone, dusty, and wrapped in a disintegrating cheese cloth. 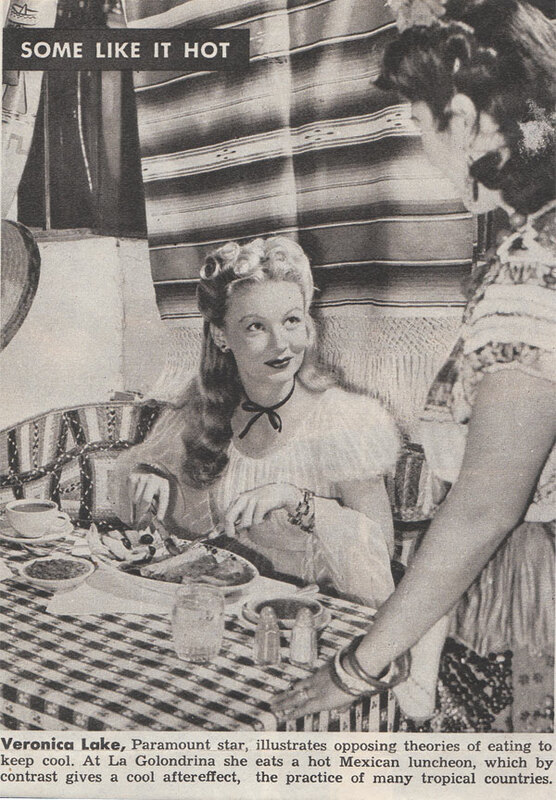 Does anyone else have a story of a heritage food in their family? By the way, the historic cheese slice was the inspiration for Clare Burson’s upcoming album Silver & Ash. Clare and I are teaming up to present a four-course dinner concert that weaves together time, place, and the complexities of family history. You should come! For more information and tickets go here. 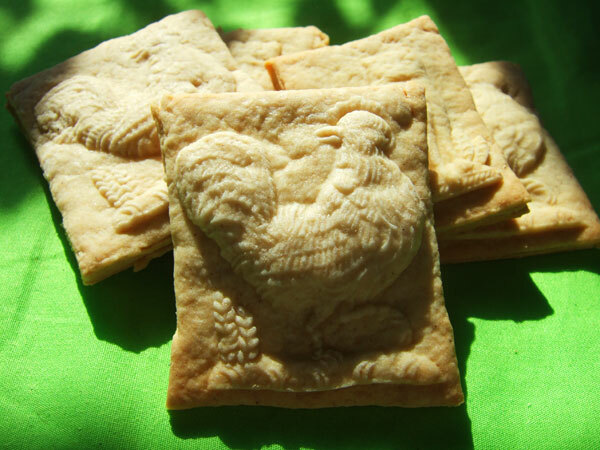 Traditional New York Cookies, stamped with historic Rooster and Kitty stamps. I spent last Sunday morning at Old Stone House, stamping out cookies with the local kids of Park Slope. The stamps are historic replicas from House on the Hill and are just. beautiful. I was shocked at the level of detail the molds yielded; although I used them with 19th century cookie recipes, I think they would work well with most modern sugar cookie dough. Stamped cookies are a tradition early Dutch settlers brought to New York (nee New Amsterdam). Over the years, they became known as a New York tradition that transcended immigrant groups. In the city, stamped cakes were passed out as treats on New Year’s Day, and as a memorial token at funerals. 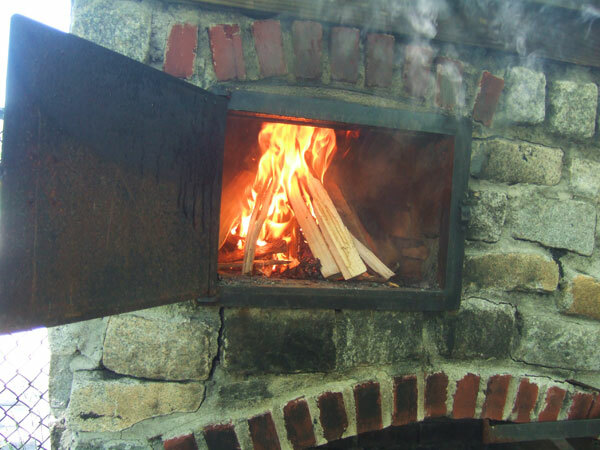 Heating up the hearth at Old Stone House. I lit a large fire and let it burn down to red and white hot coals. Then, I pushed the coals to the back of the oven, and placed the cookies in the front. To test the oven, I made Tollhouse break and bake cookies, and they baked exactly as long as they said they would on the package. Voila! And then we stamp. Photo by Sharon Stadul. We made two cookie recipes on Sunday: one, a caraway and orange cookie, came from the book Food, Drink and Celebrations of the Hudson Valley Dutch by Peter G. Rose. Man they were good – I want to experiment more with that recipe. The second cookie was a nutmeg-cinnamon-rosewater cake called, appropriately, New York Cookies. The recipes is from 1840 and I give it a B+. You may like them, particularly with a cup of tea, but they taste too much like the 19th century for my liking. From Directions For Cookery, In Its Various Branches by Eliza Leslie, 1840. 1. Preheat oven to 375 degrees. Whisk together flour, spices, and baking soda. 2. Using your hands, rub the butter into the flour mixture until it forms a course meal. 3. Combine rosewater, water and sugar. Add to flour mixture and knead, first in the bowl, then move to a board, cloth or non-stick mat dusted with confectioner’s sugar. Knead until the dough no longer crumbles, adding additional water if neccesary. 4. Cut into three pieces, setting aside two and rolling out the third. This dough also freezes well if you don’t want to make the cookies immediately. 5. Roll the dough 1/2 in -3/4 of an inch thick. Using a pastry brush, dust cookie mold with powdered sugar. Press cookie mold firmly and evenly on the dough. Lift up mold, and cut out cookie using a spatula or a knife. 6. If possible, let the cookies sit out for an hour before baking. Letting the cookies dry slightly also delivers a crisper image. I snapped this at The Ear Inn during last weekend’s pub crawl. The Gallery: The Idea Was to Live in the Past. 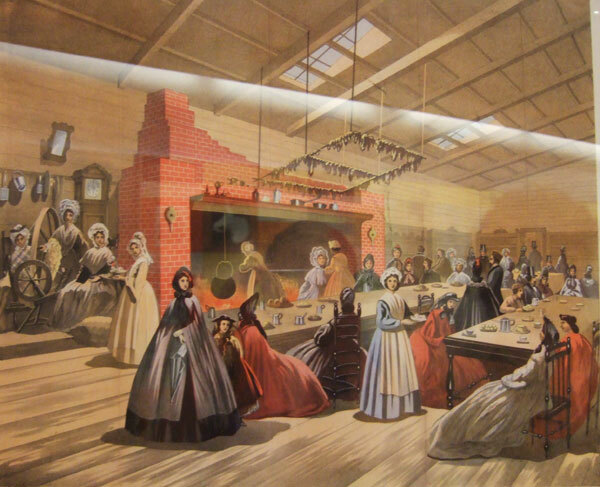 Brooklyn Sanitary Fair 1864: The New England Kitchen. “The idea is to present a faithful picture of New England farm house life of the last century. The grand, old fire place shall glow again; the spinning wheel shall whirl as of old; the walls shall be garnished with the products of the forest; and the dinner table, always set, shall be loaded with substantial New England cheer. We shall try to reproduce the manners, customs, dress, and if possible, the idiom of the time…The period fixed upon is just prior to the throwing overboard of the tea in Boston Harbor. The Kitchen was a Civil War reenactment of Revolutionary War era foodways. It was 1864 reenacting 1776. Awesome. I love this. Love. It. I really want to reenact the 186o’s reenacting 1770’s. I just have to figure out how. 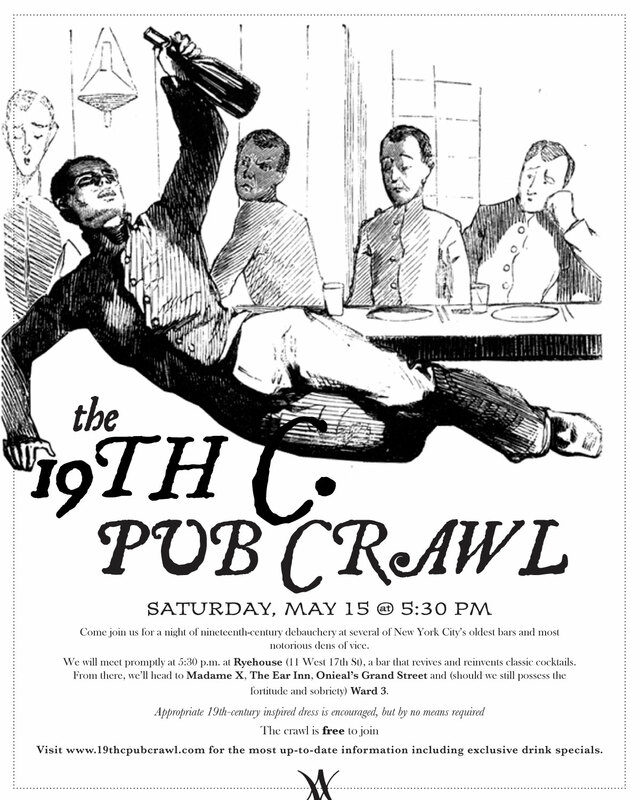 Events: The 19th C. Pub Crawl is Tomorrow! We only have room for 50 participants, so please RSVP on Facebook (or leave a comment on this post) to reserve a spot! Whiskey is my drink of choice, so I admit I love the unintentional whiskey theme of this week. 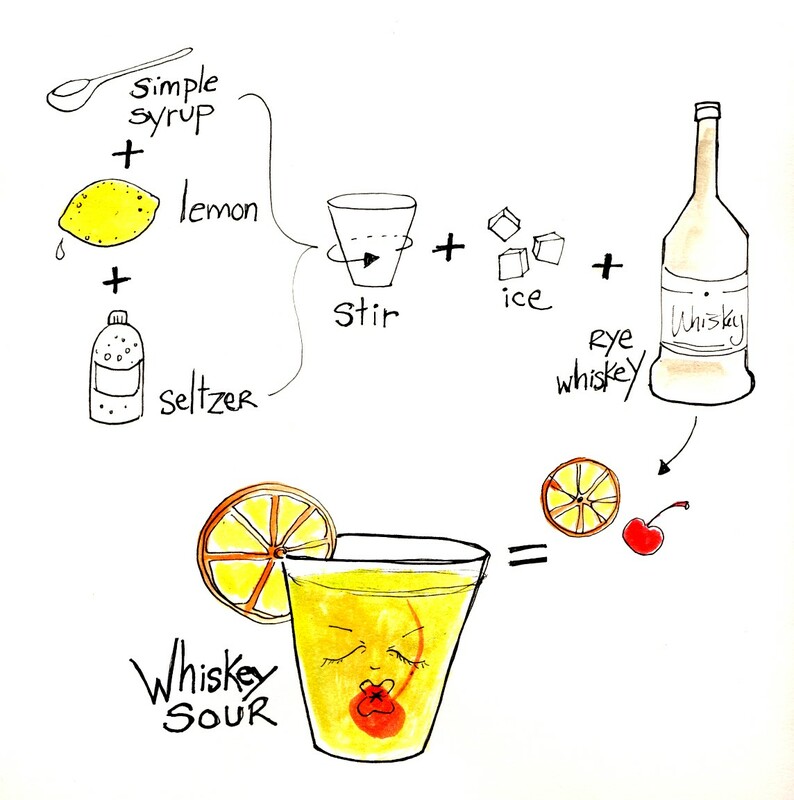 The Whiskey Sour was invented sometime in the middle of the 19th century; Jerry Thomas describes a brandy and a gin variation in his 1862 book. Other variations: a dash of egg white makes it into the Boston Sour, and Boston also gave birth to the Ward 8 in 1898, which adds orange juice and grenadine. 1. In a rocks glass, add simple syrup, lemon juice and seltzer. Stir to combine (or until sugar is dissolved). 2. Fill glass with ice, and add whiskey. Stir until the outside of the glass is cold. Garnish with a cherry and orange wedge, or seasonal fruits. For a full list of Ward III’s “exquisite libations”, go here. David Wondrich, cocktail historian and Jerry Thomas expert, says the Manhattan “…Probably dates to the Manhattan Club, which was a social club for rich Democrats at Fifth Avenue and 15th Street in the 1870s.” Accustomed to the maraschino cherry standards of a modern-day Manhattan, I was pleasantly surprised when I was recently served a variation from Wondrich’s book Imbibe! Remarkably smooth and even a touch sweet, this has been my favorite drink I’ve quaffed in a long time. From Imbibe! By David Wondrich, 2007. Based on a recipe by Jerry Thomas. 1. Fill a tumbler with ice; add all ingredients and stir until the outside of the glass is cold. 2. Strain into a martini (cocktail) glass, and garnish with a cherry or a twist of lemon peel. Ready for another variation of this classic drink? 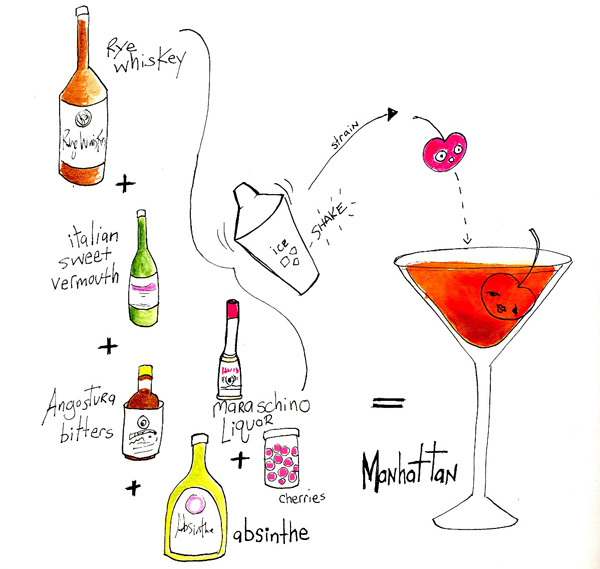 Try Madame X‘s Dirty Cherry Manhattan. The second stop on the 19th C. Pub Crawl, Madam X serves up a Manhattan made with Basil Hayden’s 8-year-old bourbon, sour cherry syrup and sweet vermouth. For a full list of Madame X’s cocktails, go here. 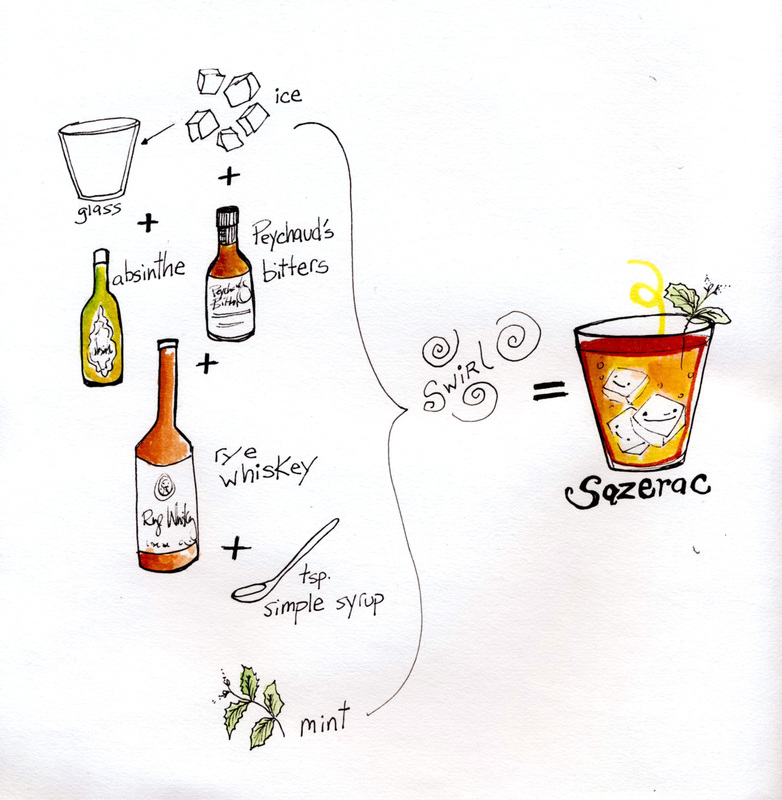 When Absinthe became legal in the states, the first drink cocktail enthusiasts began mixing up was the Sazerac. Invented in New Orleans circa 1870, it’s based on an even older Cognas drink invented by Antoine Amédée Peychaud; his bitters are indispensable in creating this cocktail. 1. Pour absinthe into a rocks glass, and swirl it around until the bottom and the sides of the glass are coated. Pour out absinthe. 2. Add ice, then whiskey, bitters, and simple syrup. Still until the outside of the glass is cold. Garnish with a sprig of mint and enjoy. Sounds ok to me, but I may be more tempted by the Rye House Punch, a combination of chai infused Rittenhouse rye, Batavia Arrack, lemon, grapefruit, Angostura bitters, and soda. Not only do I love a good chai tea, but I am fascinated with Batavia Arrack, a popular 19th century spirit only recently re-introduced to the market. I’m going to pick up a bottle to experiment with some 19th-century recipes, but I can’t wait to try it in a Victorian-inspired cocktail on Saturday. For a full list of Ryehouse’s cocktails, go here. When the weather gets all warm and luscious like this, all I want to do is drink. I want to sit under a tree and sip a frosty cocktail. 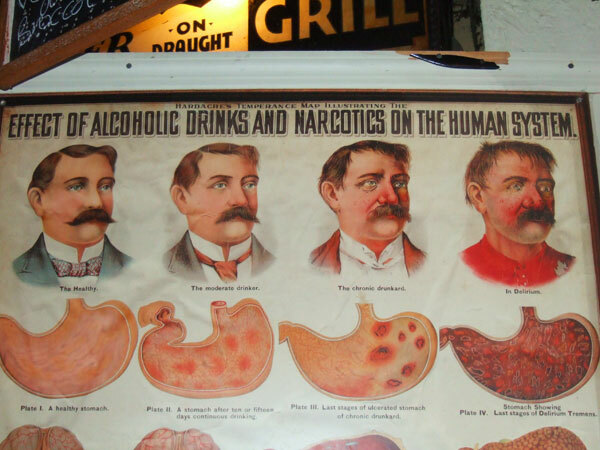 So, to lead up to Saturday’s 19th C. Pub Crawl, I’m declaring it Cocktail Week. Everyday, I’ll be posting the recipe for an iconic 19th-century cocktail and featuring a pub crawl bar that serves up their own version of a classic concoction. Let’s get ready to imbibe.